Includes a large range of various bouncy balls. 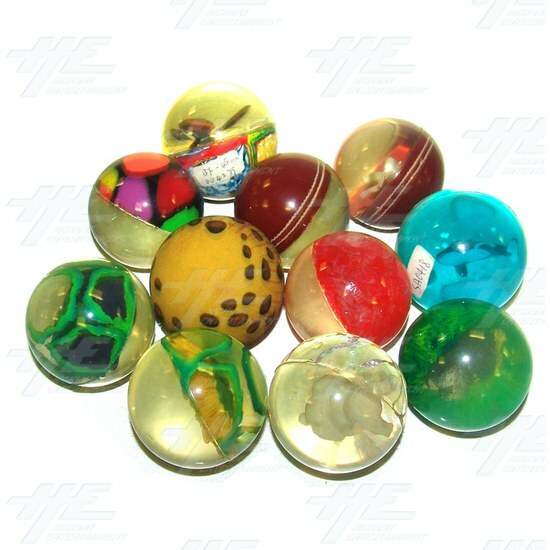 Includes Cricket Themed Balls, Flower Patterned, Animal Themed, plus others. Includes a total of 75pcs. Each ball is between 4cm and 5cm in diameter. Each ball is between 4cm and 5cm in diameter. Price is for 75 units.